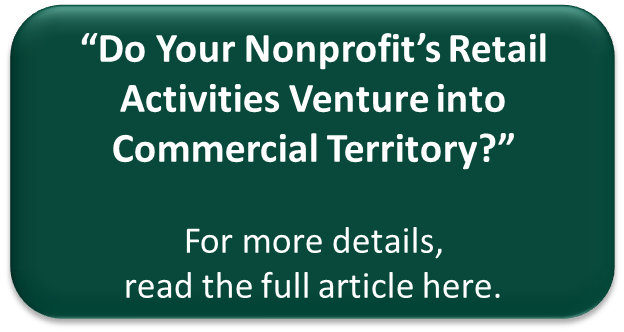 If your nonprofit operates a retail venture, like a gift shop for example, tax issues can become tricky and you may be in a position where you are jeopardizing your tax exempt status. The key determinant: the degree to which the retail activities are considered to be in support of the organization’s charitable mission and that there is no substantial nonexempt commercial purpose for these activities. The Financial Accounting Standards Board’s (FASB) Not-for-Profit Advisory Committee (NAC) in September 2013 recommended changes in accounting rules designed to allow not-for-profit organizations to better report their finances. FASB tentatively decided to merge the three existing net asset classes currently required for not-for-profit financial reporting into just two: those with donor restrictions and those without.